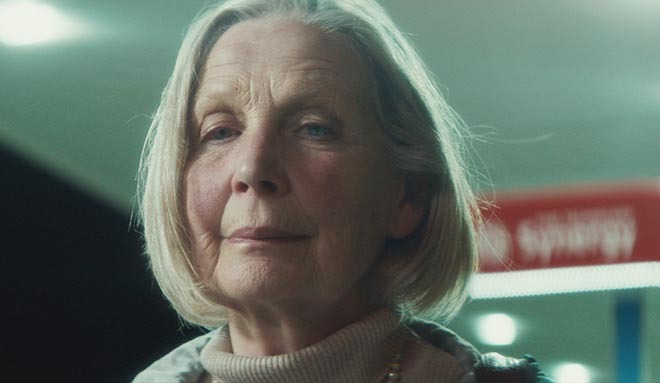 Esso, the Exon fuel brand, has launched “Sophie”, a moving commercial at the centre of a major European brand campaign, “Journeys That Matter”. The new film follows Sophie’s journey as she travels through Europe to revisit an old flame. Along the way Sophie deals with a flat tire, a tree across the road and snow storms, picking up hitchhikers and hanging out with truckers, trying out an arcade video game. Finally she reaches her destination to find the man she’s been missing for 43 years. The film broke online and on video-on-demand in the UK on 19th July and will also run in Belgium, Netherlands and Luxembourg. The Esso Journeys That Matter ad is supported by an integrated media campaign ranging from outdoor, press, digital display to forecourt POS. The Esso Journeys That Matter campaign was developed at Adam&EveDDB, London, by chief creative officer Ben Priest, executive creative director Paul Cohen, creative Simon Lloyd, planners James Price and Peter Lewis, business director Caroline Logan, agency producer Charles Woodall, senior account manager Elena Kalogeropoulos, account directors (regional) Katie Toller and Alannah Wells. Media was handled at UM by Richard Wright. Filming was shot by director Nick Gordon via Somesuch & Co with director of photography Thimios Bakatakis, executive producer Seth Wilson and producer James Waters. Editor was Daniel Sherwen at Final Cut. Post production was done at MPC by VFX supervisor Iain Murray, producer Hannah Ruddleston, VFX team Giles Hicks, Jonathan Box, Eliot Hobdell and Michael Drayton, and colourist Jean-Clement Soret. Sound was produced at 750mph. Music, “Lauren’s Walking” performed by Angelo Badalamenti, was supervised by Tom Stanford at Platinum Rye.